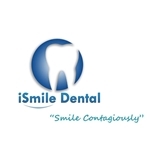 iSmile Dental (Brooklyn) - Book Appointment Online! Complete dental care in two convenient locations, iSmile Dental is for patients who won’t compromise care, comfort or quality. Our mission is to provide you the best care and service while building a relationship founded on mutual trust and understanding. Whether you have been postponing a routine checkup, restorative care or want to enhance your smile through cosmetic dentistry, now is the time to stop by iSmile Dental. We are here to ensure that when you leave us, you are confident and smiling contagiously. She was incredibly kind and helpful! Made m comfortable and took very little time. Highly recommend iSmile park slope! The entire office was so friendly and helpful.